Botox injections to remove the signs of aging, such as wrinkles and fine lines, are incredibly popular. But the bad rap that Botox has gotten continues to follow it around. There are individuals that fear that Botox injections will have side effects that include drooping or sagging parts of the face. Sadly, unlicensed practitioners who have illegally administered Botox don’t always know what they’re doing. Having an experienced botox doctor perform your injections will make sure you get the best results possible. Too much medicine injected into the wrong muscles can lead to undesired results. This underlines the importance of getting a licensed, professional doctor to perform the Botox injections the right way. As is reported in this NBC 11 News interview found on YouTube, Botox helps to get rid of wrinkles, but it is extremely important to find the right person for the job. How can someone be safe about choosing the right person to go to for Botox injections? 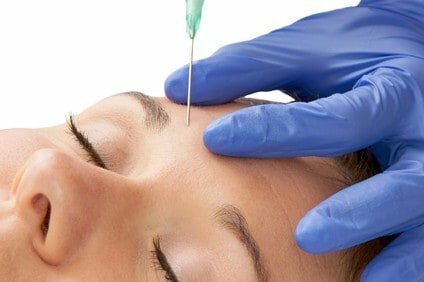 Dr. Randall Weil assures us that Botox injections are safe, however, going to an experienced botox doctor is your best bet. Injections are most commonly performed between the eyebrows and along the sides of the face near the eyes and mouth. The result is the disappearance of frown lines, crowís feet and smile lines. Debra Phillips received Botox in these areas. She reveals that, although still relatively young, she chose to get injections to maintain her youthful look. Another important revelation is the fact that she can still smile with ease. Noting that many people fear the stereotype that Botox creates plastic faces and the inability to move your facial muscles, Phillips insists the opposite is true. Botox actually does a whole lot more than just diminish the appearance of wrinkles in the face. It has also been used in the treatment of Hyperhidrosis or severe sweating. Once injected, it blocks the nerve impulses that stimulate sweat glands. With so many uses for Botox, itís no wonder that it continues to grow in popularity as a cosmetic treatment. The NBC 11 News report shows before and after pictures that speak to why. Dr. Weil notes that the area between the eyes is the most common area for people to receive Botox injections. This is because many feel that the wrinkles that appear in the area give the appearance of someone who is angry and looks to be frowning. Crowís feet, which are wrinkles stemming from the eyes, represent another common area for Botox injections. Muscle contraction causes wrinkles, explains Dr. Weil. And with the injection of Botox, the muscles become relaxed. The prevention of this muscle contraction is the main job of Botox. Without the contraction, no wrinkles form. This is why injecting the right amount of the medicine into the right muscles works wonders. This is also why the injections must be performed by an experienced botox doctor. Not only has DermMedica’s Dr. Crippen been performing Botox injections for more than a decade, he has injected more Botox than any other physician in the British Columbia Interior. If you are looking for an experienced botox doctor, you have found him! To book a consultation or to get more information about Botox, call DermMedica toll free at 1-866-861-3070, or if you are in Kelowna, call 250-868-3070.